I've tried it all over the years and have found some amazing hidden gems that you'll want to know about. It's very easy to spend far too much on tennis gear if you don't know exactly what you want. Knowledge is power and I want to share the wealth! Here you can read about my experience with these products and services and get to know them better. 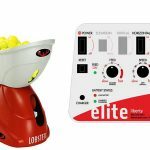 The best tennis training device for teaching beginners and children how to brush on the ball and generate topspin. The Topspin Pro can be adjusted for height and is light enough to be transported easily. 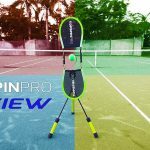 This is the new and improved version of the Zepp Tennis Swing Analyzer. The older version had some bugs. The new one functions well and informs you of your swing speed, consistency, and power. It can show you your serve in 3D and inform you of the speed. I like high-tech gear that gives me accurate feedback. I also use this tool with my students. You may need to get the racket mount with it, like I did. The racket mount ensures the Zepp will stay on any racket. A very effective tool for teaching beginners and children to maintain the proper grip on the racket, whether it be eastern, semi-western or any grip you want. 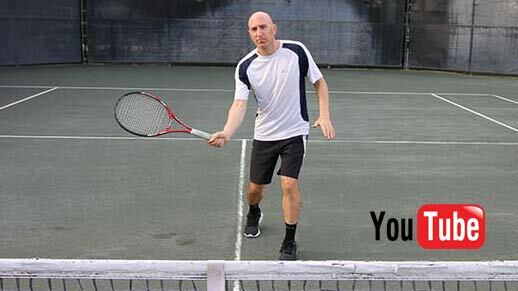 A very effective way to learn the 90-degree racket-to-forearm angle that all professional players hit with. You attach it to your forearm and the racket and it maintains the 90-degree position. Good for kids and adults. 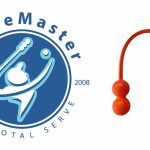 One of the best training tools for teaching beginners and children the appropriate place to swing on the serve. Can also be used for groundstrokes. Simple, yet very effective in its use. This hopper from Gamma is great quality, sturdy, and can be made to stand upright. The 50 and 75-ball hoppers are ideal players who have ball machines or want to train on their own. This size hopper is also a great choice for a parent wanting to train their child. If you're a coach, and have the Gamma EZ Travel Cart - 150 Balls, you can go with a 75, 80, or 90-ball hopper. If you don't want to invest in a Gamma Cart, I recommend going with a 110-ball hopper. 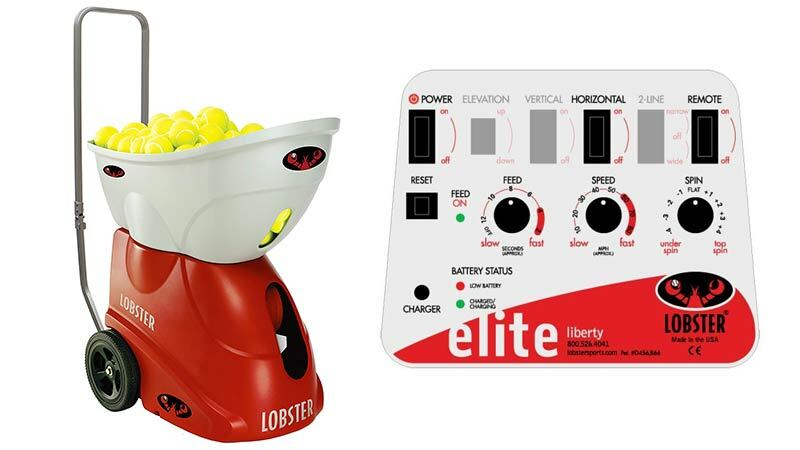 A must-have for any serious tennis coach. This cart holds 150 balls and folds up for easy transporting. It comes with the black center bag - balls are sold separately. You can wheel the cart around the court easily. 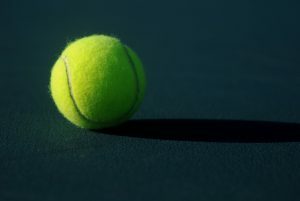 However, you'll need to purchase a separate tennis hopper to pick up the balls. A great combo pack that includes high-quality agility ladder, hurdles, a jump rope and space markers with carrying bag. These tools will improve footwork, agility, and quickness on the court. 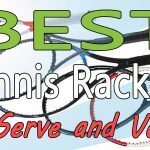 This is a resistance weight you place on your racket. It helps to increase racket speed, which is extremely important for generating more spin and power. I use this before every practice session and match. A great training tool for kids and juniors. Teaches children the proper footwork and can be used for a variety of drills. Comes in two size diameters (15” and 21”), three colors, and are nonslip. 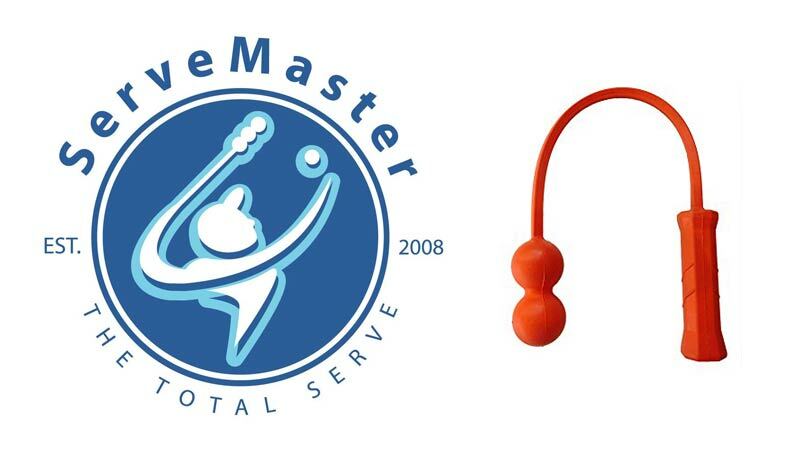 Excellent training tool for teaching rotation on the forehand and backhand. I recommend the 4 lb ball for small kids. 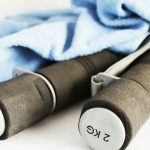 It will also provide resistance, building up their core. Adults can use 6 or 8 lb balls. Options from 4-20 lbs are offered with this ball. The best grip on the market. Keeps the hand sticking to the racket and feels very comfortable. I’ve used other grips, but nothing feels better or lasts longer than these Wilson grips. One grip will last me at least 10 matches. I like the white color too. This towel is a great way to solve slippery grip from sweaty hands. Simply place the towel around the grip for a few seconds and it will add a stickiness to it, that will keep your hand from slipping. I use this towel in the hot and humid summer, when sweat bands alone won’t do the trick. For me, there is no other ball on the market that comes close to this one. We use this ball in all my league matches. It retains its bounce way longer than any other ball and is livelier than standard Wilson, Penn, or Dunlop balls out of the can. 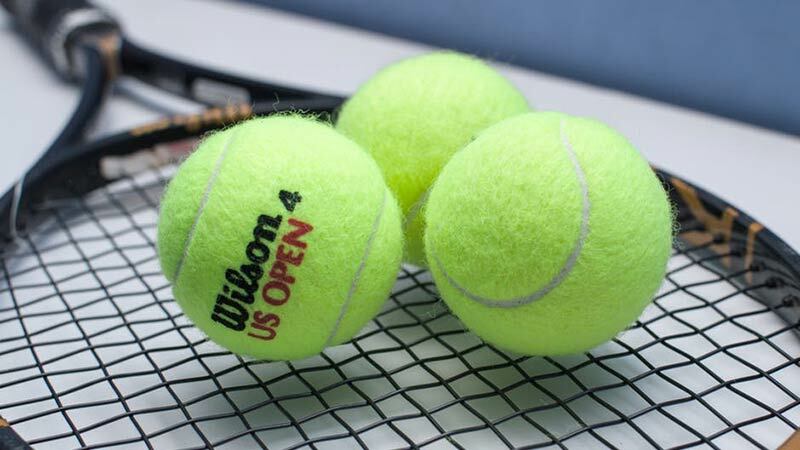 While most tennis balls are shot after one use, you can use the small Wilson US Open ball for two or three matches, especially on clay. It’s priced more, but well worth it. This is the tennis string I use. It is a hexagonal shape, which is excellent for gripping the ball and providing lots of spin and power. This string is 17-gauge, which offers excellent feel. This is a complete roll of string, which will allow you to string over a dozen rackets. Buying an entire reel will save you money. The Addidas Barricade is my tennis shoe of choice. I find them to be comfortable and secure. They also have great traction on any surface. The Barricades are specifically designed for tennis and keep my ankle very stable during play. These particular shoes are offered in four different colors. I personally favor black, though aqua looks cool too. This is a simple and durable tennis bag, which is all you need. It has two main compartments and holds up to 6 adult size tennis rackets. It also has a side compartment for your wallet, keys, or personal items. The color of this bag is black, but it comes in other colors too. I have the blue one. This is my only hat of choice for use during daytime play. I love this hat because it’s light, feels very comfortable, and protects wonderfully from the sun. The flaps on the back keep the sun off my neck and the hat is adjustable to any size head. I play matches with this hat and it stays on perfectly. The white color is great because it reflects the sun, keeping your head cool. I use these wristbands because they are quite effective in keeping sweat off my hands at nearly 4 inches long. I also like getting 10 different colors in one pack, as I like to change up the color scheme often in my clothing. If you sweat like me on the court, wristbands are essential. I love Puma socks. I find them to be the perfect thickness – not too thin and not too thick. They’re great for playing tennis and provide plenty of comfort for my foot. I wouldn’t play with any other sock.